FXFlat is a real treat among the numerous brokers. As one of the few providers in this sector, FXFlat is headquartered not in other European countries, but in Germany. For this reason, the broker is extremely popular with German traders. The company was founded in 1997 and has many years of experience. The FXFlat broker offers trading with foreign exchange, differential contracts and also binary options. For the experienced broker itâ€™s no wonder there is a first-class customer support, various trading platforms and the broad range of currencies, stocks, commodities and indices. As a result, FXFlat is definitely one of the most popular brokers and is suitable for beginners, experienced and professional traders. At FXFlat members can trade more than 120 currency pairs. Forex trading costs are limited to spreads, while other commissions are not included in trading with foreign exchange. The spreads are very favorable in direct comparison with other brokers and start at 0.8 pips. The popular majors, such as EUR/USD, are also charged only 1.6 pips. The currencies can have a maximum leverage ratio of 1:400. This allows the traders to move very large trading volumes with a small investment. Of course, on the other hand, the risk increases in the event of a loss. FXFlat offers its traders a wide range of trading possibilities when trading Forex. These include 1-click trading, One Cancels Other orders, If-done orders, and trailing stops. Furthermore, hedged orders with a guaranteed stop, take profit and stop loss are also available. In terms of CFD trading, FXFlat’s customers have the most important stock exchanges, the main indices from over 24 countries, various CFDs on commodities, foreign exchange and inflation rates. If the traders open and close a CFD long position within one day, then no additional financing costs will be incurred. When buying the difference contacts broker is calculating a low financing fee of the Interbank Offer Rate and plus 2.5 percent. The margin is between 0.5 for CFDs and 10 per cent for indices. Traders also have the choice between limit orders, stop orders, trailing stop orders, order cancel orders, parent and contingent orders and guaranteed stop loss orders. When trading options, traders can trade on currency pairs, over-the-counter vanilla calls, and also on put options. All common trading strategies such as straddles, verticals, risk reversals and strangles are supported. The customers of FXFlat can also act on binary options on currencies, raw materials, and indices. For this purpose, a special trading platform is available to traders. Traders have the choice of different trading platforms. The in-house solution is called FlatTrader and is suitable for the trading of currencies and CFDs. The trading platform makes a very clear and user-friendly impression. It offers the user various indicators and chart representations and can even be configured individually. Users of FXFlat can either download the FlatTrader as software and install it on the computer or use the web-based version. Both platforms have the same functions and possibilities. For mobile devices such as smartphones and tablets, a dedicated solution is available that runs not only on devices with the operating systems iOS and Android but also on Windows Phone. It is called MetaTrader4.This professional trading platform offers a variety of functions and possibilities. Users can even import automated trading systems. FXFlat’s different trading platforms serve every taste and both beginners and experienced traders will find a solution of their preference. Potential new customers who want to test the FXFlat can do that without risk by opening a demo account. Unfortunately, they have to go through an extensive registration and give away many personal data. The demo account is completely free and can be used for up to 30 days. The demo account gives potential customer a good impression, even if the courses do not always correspond to the live courses. Creating an account with FXFlat doesnâ€™t require much time. Nevertheless, the registration is quite extensive and the traders have to fill out a lot of data fields. An account opening at FXFlat is already possible from a small deposit amount of 200 euros. The trading account is activated after a comprehensive identity check and a deposit. Unlike many other brokers, FXFlat does not always give its new customers a bonus. Whether or not such a bonus is granted on the first deposit and how much it is, the broker decides on a case-by-case basis. Traders who promote FXFlat to a new customer receive a generous reward. They pay the advertisers 50 euros. For a deposit of more than 5,000 Euros, the advertisers receive 150 Euro as a credit note. Traders who opt for FXFlat should not be passive for too long. Customers whose account is not used for 60 days must pay a monthly inactivity fee of 40 euros. This is not usual in the industry. If customers activate their trading account again, they are refunded. Deposits are possible either by credit card or bank transfer. Unfortunately, the German broker waived the digital payment systems. For this purpose, FXFlat does not charge any fees for a payout. A payment request is usually processed within a maximum of 24 hours. In the event of payments made to the credit card, the money will be transferred instantly. Bank transfers usually last between 3 and 5 business days. Compared to other brokers, the choice of payment methods at FXFlat is significantly lower. But on the other hand, the payments are made quite quickly and always free of charge. FXFlat’s customer service has already won several awards, and this has been all for a good reason. In a case of issues or questions, users can reach the telephone support daily from 8:30 am to 7:00 pm. During this period the broker’s staff can also be reached via live chat. Of course, traders can also contact the support via email. The emails are usually answered very quickly. On the FXFlat website, customers can formulate a callback request and are called by a service employee within a very short time. The customer consultants are very convincing with their competence and friendliness and always strive for a timely solution. 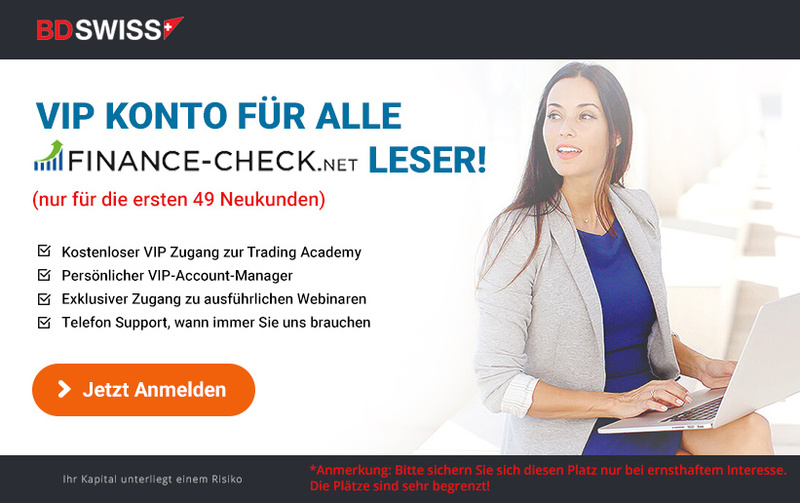 For this reason, the broker received a “very good” rank from the renowned trade magazine BÃ¶rse am Sonntag for their customer support. In addition to the excellent customer support, the broker offers its customers a wide range of training opportunities. These include, among others, regular courses in various fields, such as Binary Options, Securities, and Forex. In addition, FXFlat customers can participate in free webinars with experienced financial experts. There are video tutorials on the website, covering all current topics. Customers using the MetaTrader4 also benefit from a very useful feature. Traders can participate in social trading and track the trades of experienced traders and copy them on request. Each new customer receives a personal and free instruction on the telephone. 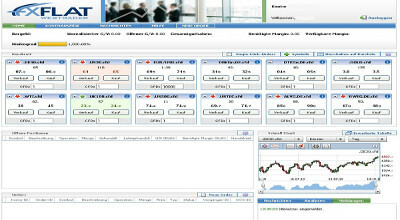 FXFlat is one of the few brokers to have its headquarters in Germany. It is strictly regulated by the German Financial Supervisory Authority and must adhere to the strictly stringent EU directives. The customer deposits are protected by a deposit guarantee and can not be lost in the event of insolvency. FXFlat is a very reliable and secure broker and is particularly suitable for German traders. In terms of performance and conditions, the broker can easily deal with the numerous competitors. The commercial offer is diverse and suits every taste and the fees are very low. Among the biggest advantages are the various trading platforms, The first-class support, and the extensive training possibilities. The extremely positive overall picture is only slightly clouded by the monthly inactivity fee and the fact thereâ€™s no bonus for every new user. Also, the choice of payment possibilities could be somewhat more diverse. Other than that, FXFlat can be recommended to any trader.